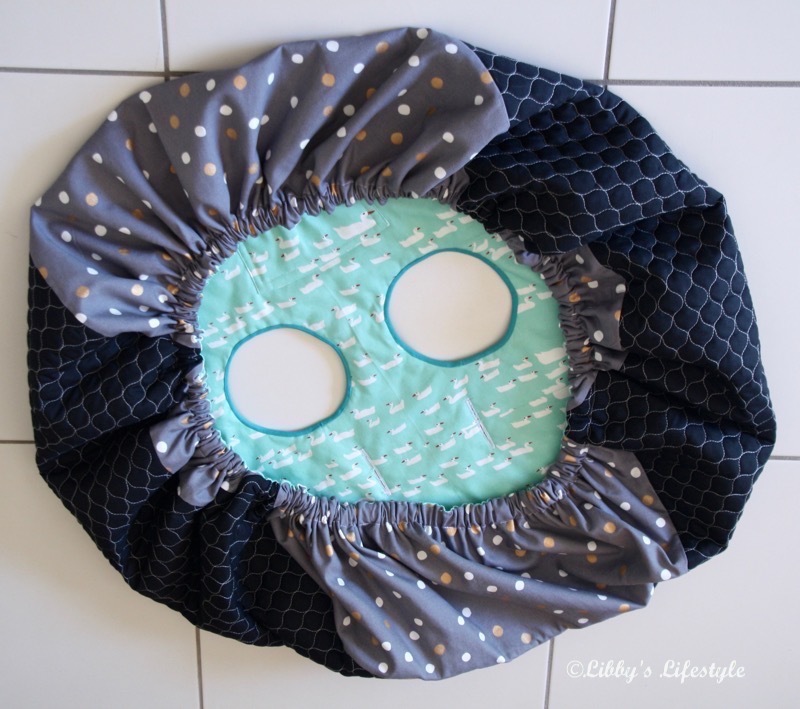 Shopping Trolley Cover: The do's and don'ts tutorial. | Libby's Lifestyle. 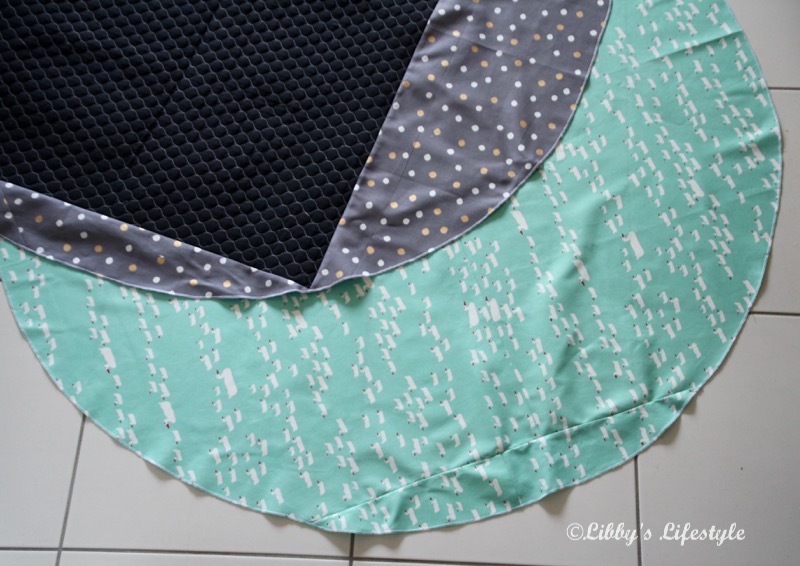 Shopping Trolley Cover: The do's and don'ts tutorial. 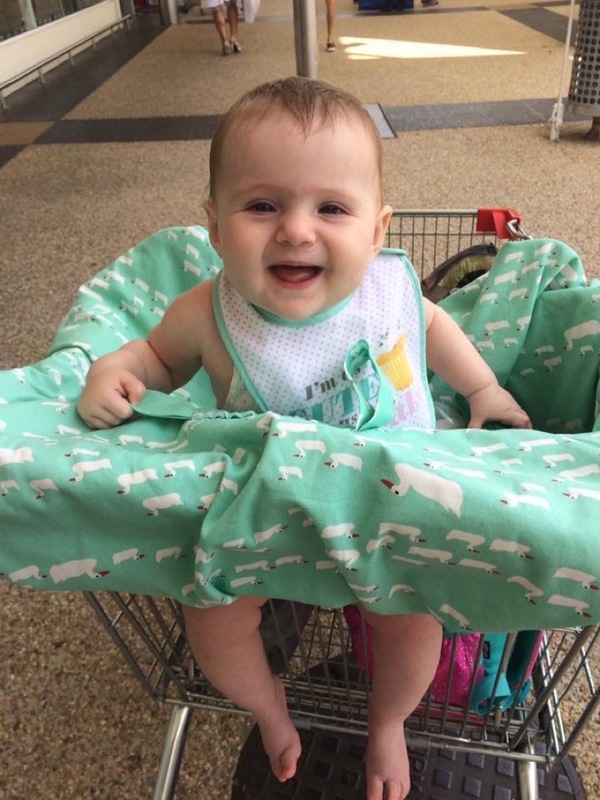 Shopping trolley covers were not part of my realm of knowledge until a step-grandchild entered my world. I was blissfully unaware that shopping trolley covers were even a "thing", let alone that they were part of the necessities of modern life with a baby. However, when there was a request from the gorgeous baby's gorgeous mother for me to make one, my mission began. The request came with the "when she's able to sit up on her own" deadline. Well, she's now able to sit on her own, so the pressure was on. I had procrastinated over this mission for some time. I'd Pinterest-ed to my heart's content (see my Baby Pinterest board here), but I had this little niggling doubt. Did said shopping trolley covers need to be as big and seemingly bulky as most were? Surely, a more fitted design could be made? I dutifully headed to my local Woolieworths near my previous abode, tape measure in hand. I measured and calculated, much to the amusement of many shoppers. 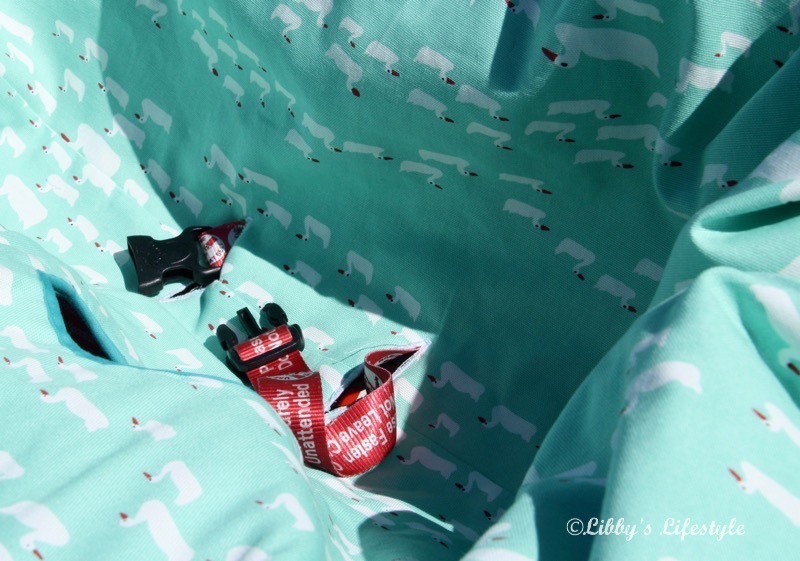 I went home and designed pattern pieces that would snuggly fit said Woolieworths shopping trolley. None of those bulky designs for me. Oh, no. But ... there's always a "but" ... I then began to take notice of shopping trolleys on my various journeys. And more niggling doubts sprung to life. Lots of niggling doubts. Shopping trolleys are not created equal. 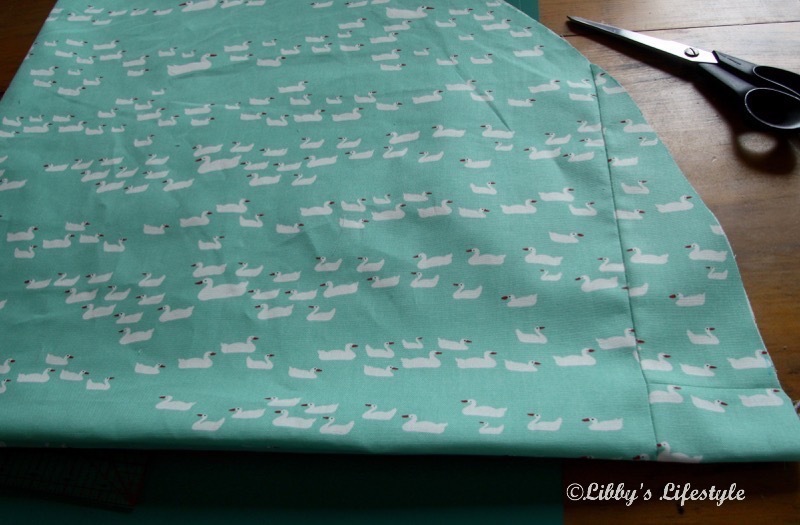 If I made my snuggly fitting Woolieworths shopping trolley cover, it could be of little use. 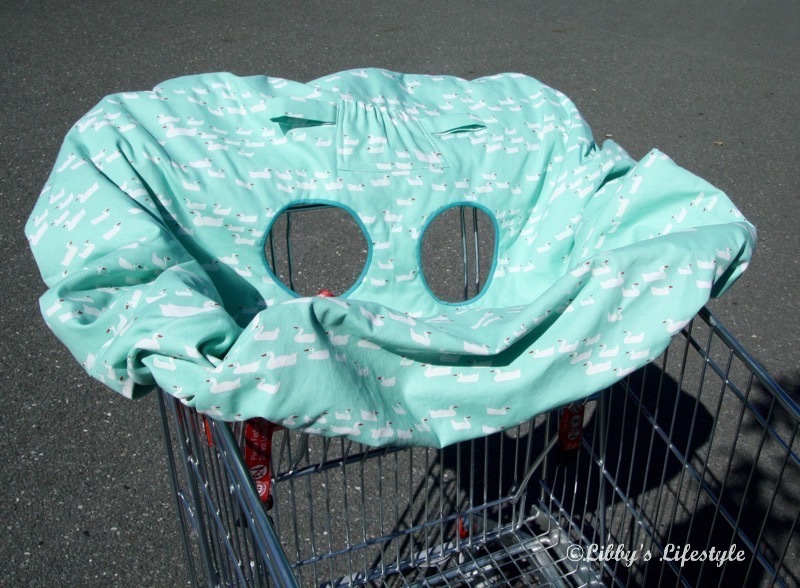 DON'T try to design a snuggly fitting shopping trolley cover. DO use the tutorial you can find here on Ashley Hackshaw's blog. It's excellent and it fits all size shopping trolleys. 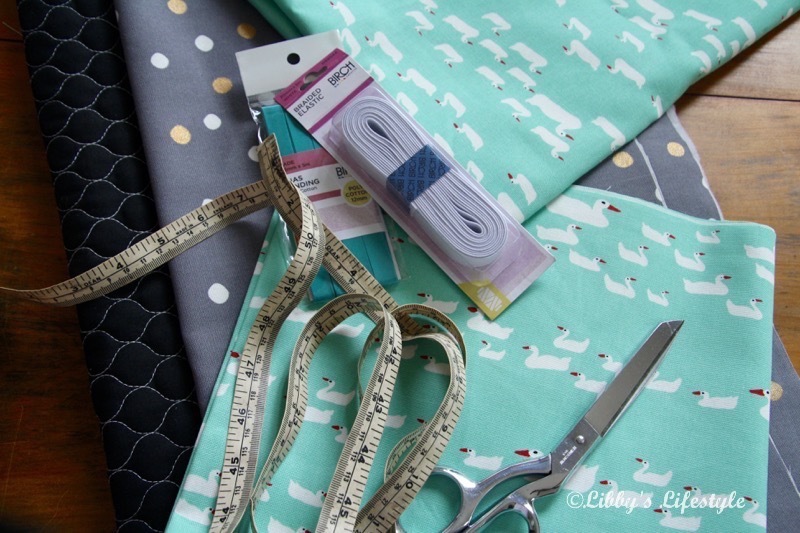 DON'T fall in love with a cute aqua duck fabric and buy the amount you calculated for your snuggly fitting design, because it won't be enough for a universal shopping trolley cover and you'll have to go back and buy more. Aren't they the cutest little ducks though?? You would have fallen in love with them too? Yes? 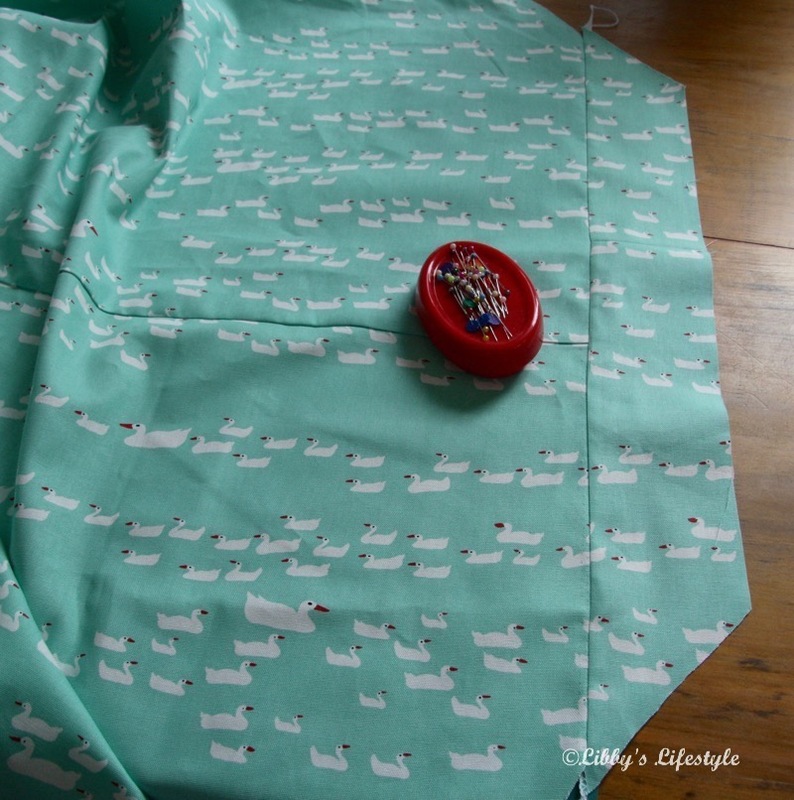 DO read Ashley's tutorial BEFORE you buy your fabric. 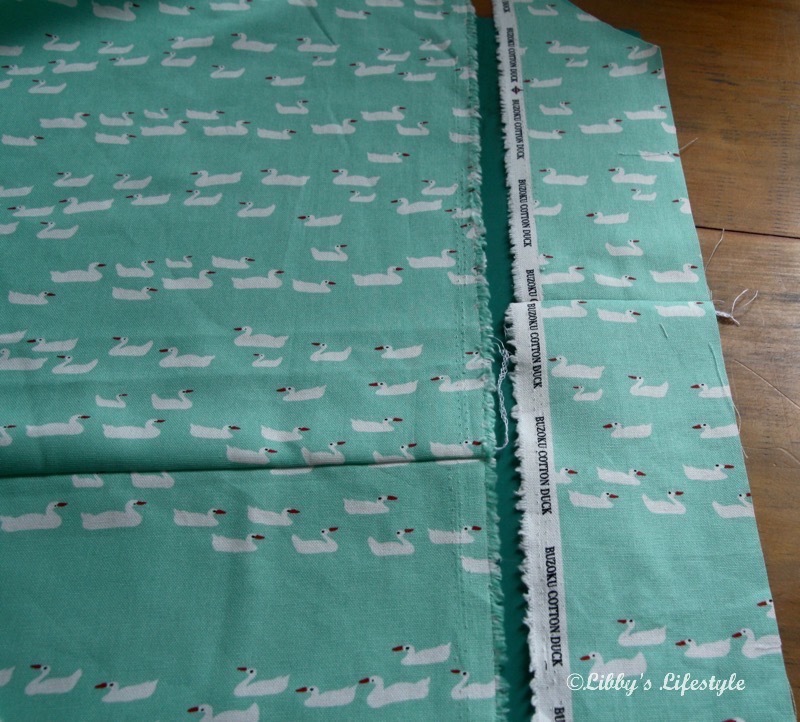 DO buy fabric which is at least 127cm (50") wide. It will make this project an absolute breeze. 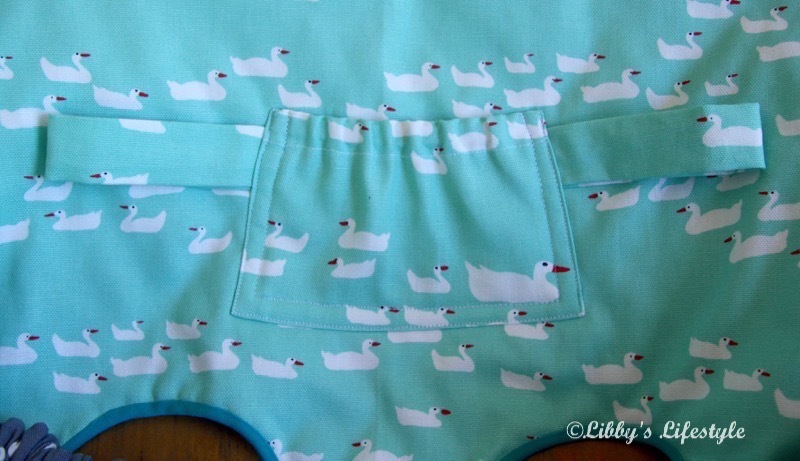 For my next one, yes, there'll be another one for the new grand-nephew born before Christmas, I'll be buying wider cotton duck style fabric from the curtain and upholstery section of Spotlight. 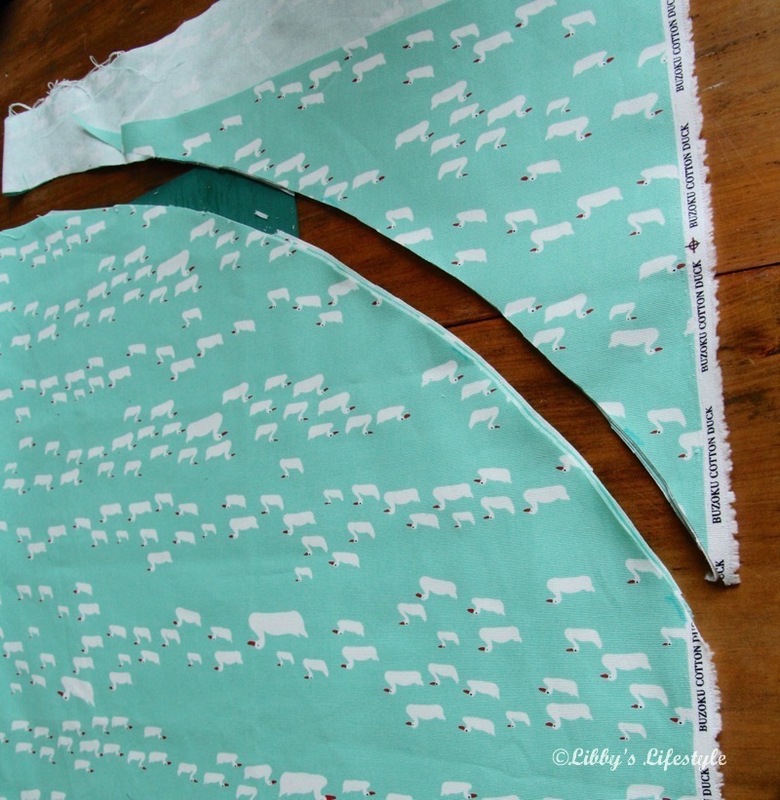 DON'T print out all of the pattern pieces in Ashley's tutorial. You really only need pages 2, 10 and 14. Basically, her pattern is a circle with a 63.5cm (25") radius. Page 2 gives you the basic information. Pages 10 and 14 indicate the position of the leg holes and the strap slots. That information and the size of the circle is all you'll need. 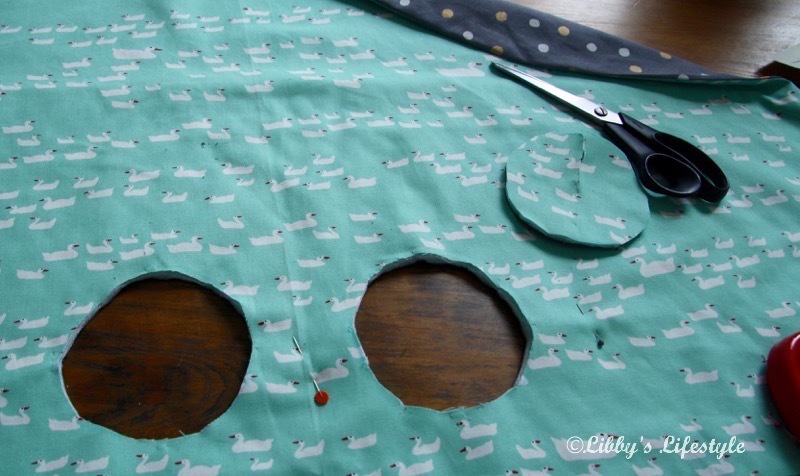 If you buy normal width fabric, like I did, you need to do a bit a patch working to create the circle. 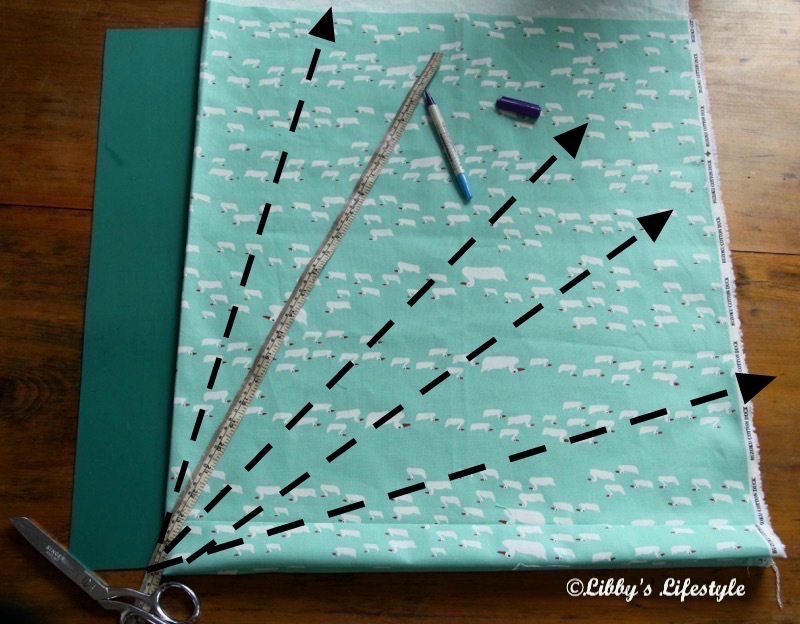 Once the fabric is folded in four, measure 63.5cm (25") from the centre folded point. Mark at several points with a pencil and cut. 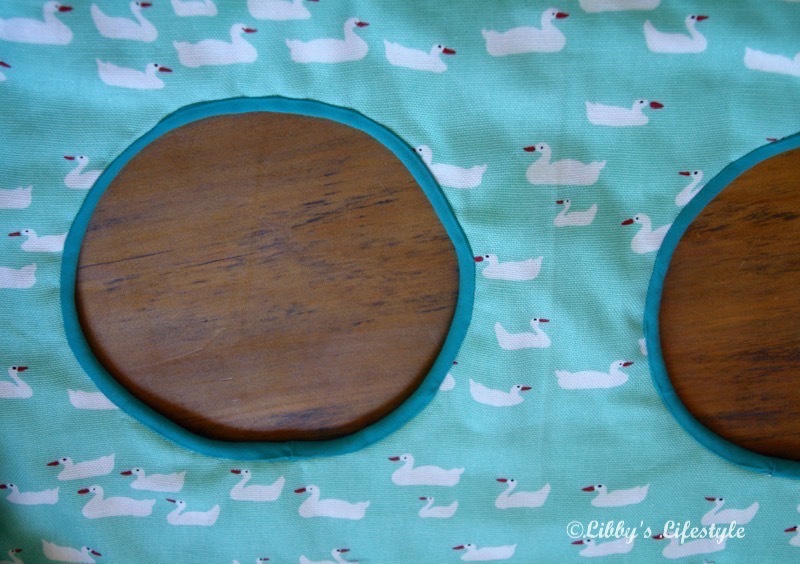 then stitched these pieces to the two straight edges of the main circle. I then refolded my circle into four, remeasured 63.5cm (25") from the centre point to the edges of the new section. Then cut the final section of the circle. I had bought some quilted fabric and some spotty for the back. Again this ended up being a major patch working exercise (You don't want to know the details!). Suffice to say, after a lot of unnecessary time patch working, I ended up with two 63.5cm (25") radius circles. 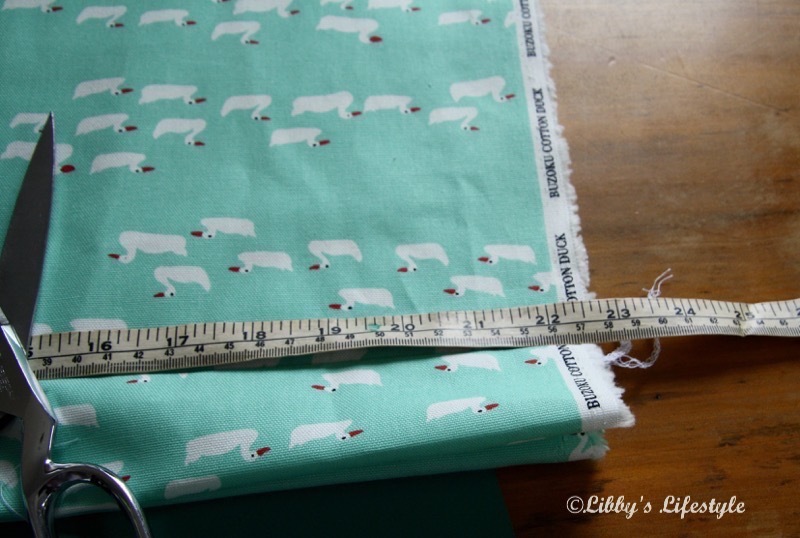 So, I repeat ... DO buy fabric which is at least 127cm (50") wide. Now, I could follow Ashley's tutorial to finish my mission. Firstly, stitching the two circles together, right sides facing. 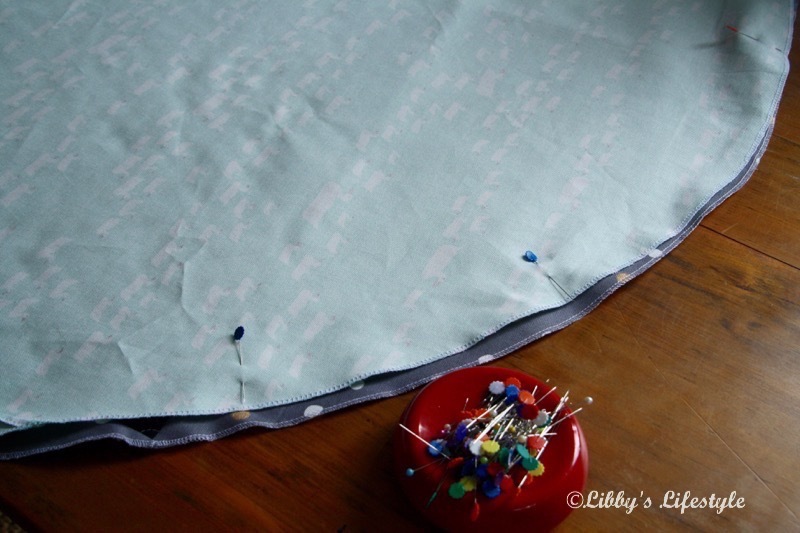 The 2.5cm (1") seam gives some leeway for error in your circles. Mine weren't perfect, but the larger seam meant it wasn't a problem. DO leave a gap in the seam large enough to fit your wrist through. It will make turning the circles through very easy. 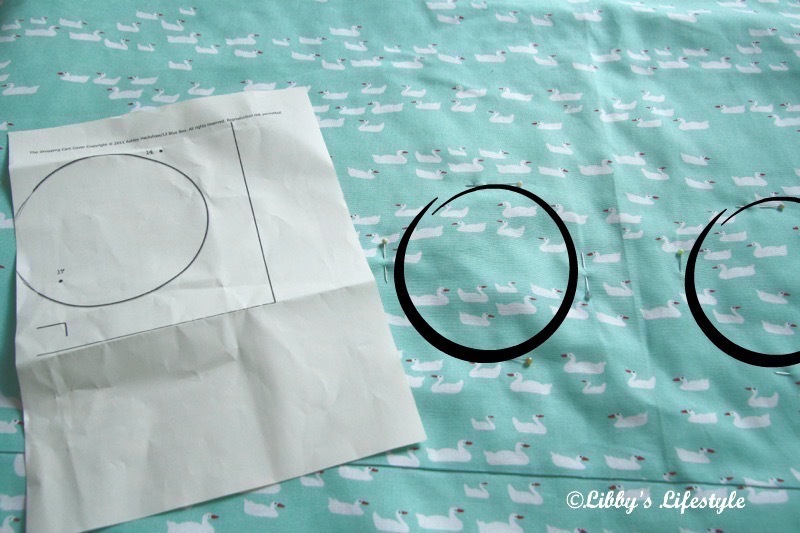 DO iron the circle edge seam and the entire circle carefully so everything sits nice and flat. 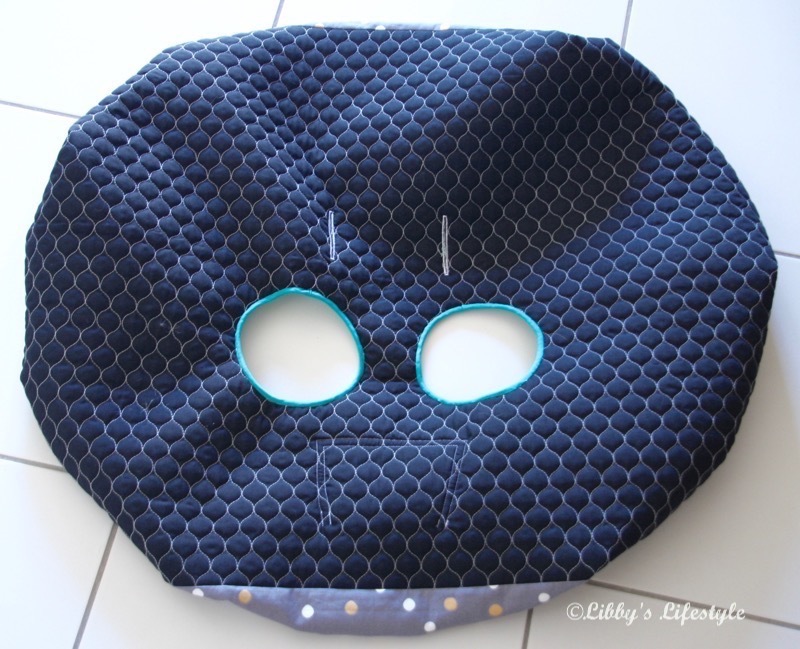 To position the leg holes, I found the centre point of my large circle, used Page 14 of the pattern to position the holes correctly and pinned four point on the leg hole circles. I marked out a rough circle around these points and snipped away. I used commercial 12mm (½") bias binding to edge the leg holes. It was narrow and very fiddly, perhaps because my backing was quilted. 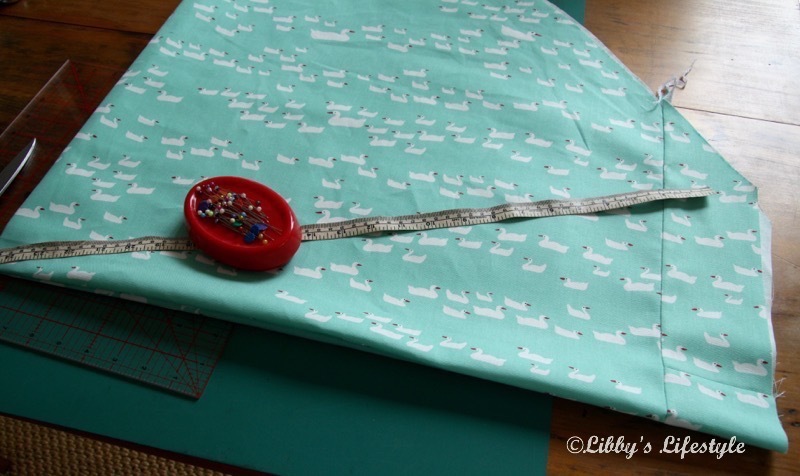 DO make your own bias binding OR buy commercial bias binding wider than 12mm (½") or don't use quilted backing. 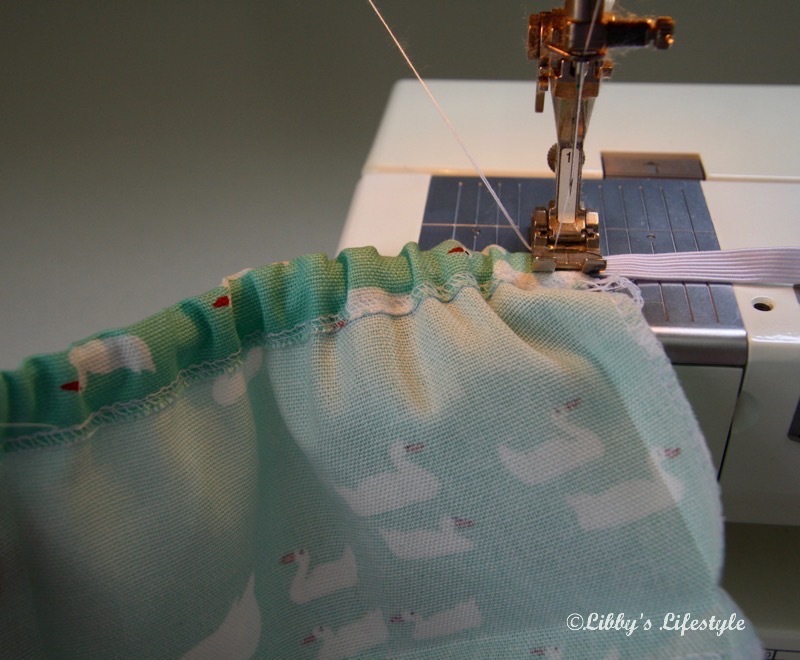 At times there's a lot of fabric feeding through the machine. 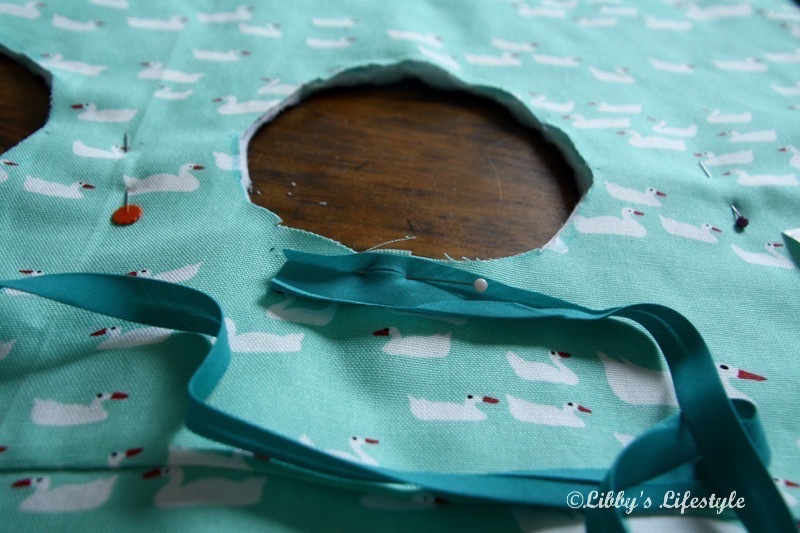 I ended up hand stitching the back of the binding because I couldn't create a neat finish with the machine. 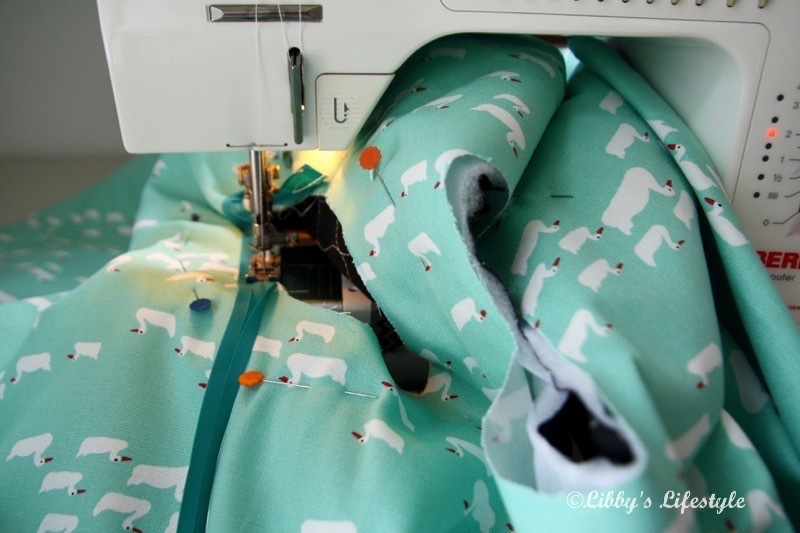 Ashley suggests pinning the binding in place and then zig-zagging it on. I've not tried this, but maybe it's the way to go. 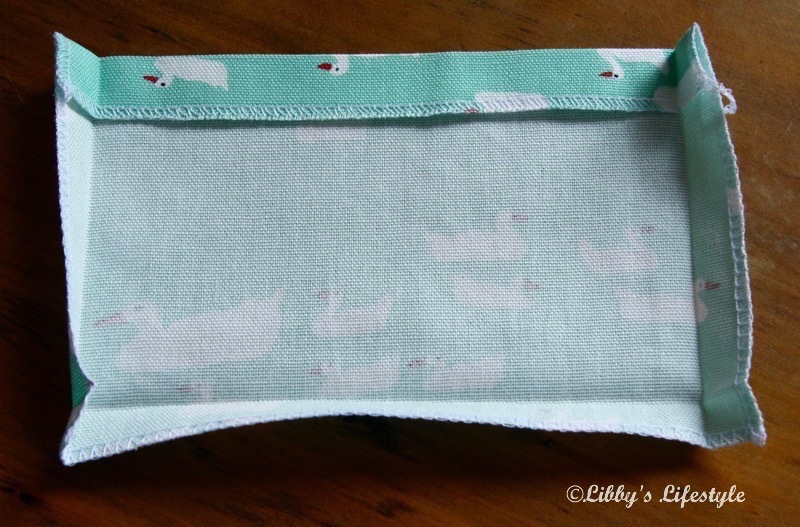 For the pocket (17cm x 12cm: 6¾" x 4¾"), I used just one layer of fabric. 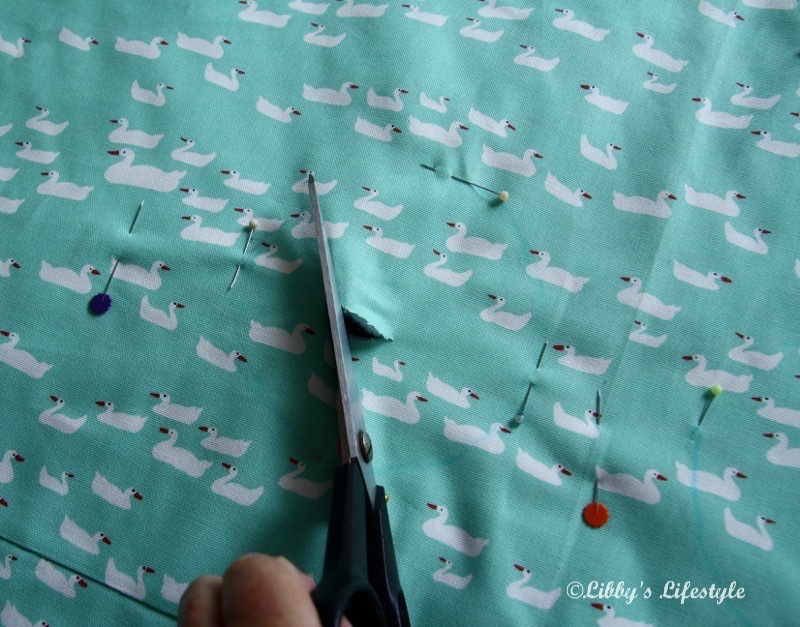 Ashley suggests making a lined pocket. I didn't bother as I didn't think it was necessary and ... I was out of fabric. 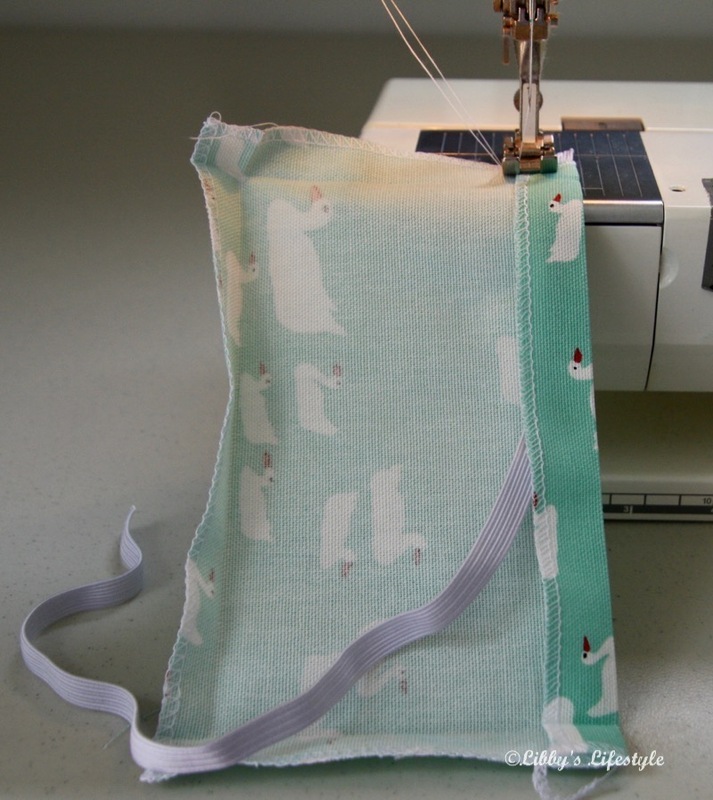 I hate feeding elastic through, so, whenever I can, I push the elastic up to the top of the fold and stitch its channel (taking extra care not to catch the elastic). 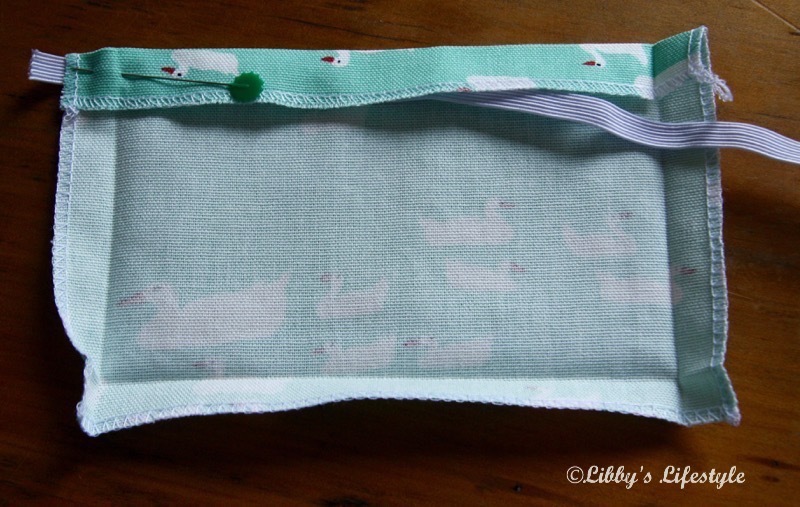 The straps are simply two pieces 16cm x7cm (6¼" x 2¾") stitched, turned through, then attached at either side of the pocket. All that remained was to make the channel for the circumference elastic and to feed the elastic through. (I couldn't avoid feeding the elastic through this time.) And the job was complete. It looks like a HUGE nappy cover, don't you think?? Then, of course, a quick trip to the local shopping centre to try it on the real thing. People give you strange looks when you take photos in shopping centre car parks. Now to deliver it and have the gorgeous baby and her gorgeous mother and father put it to use. 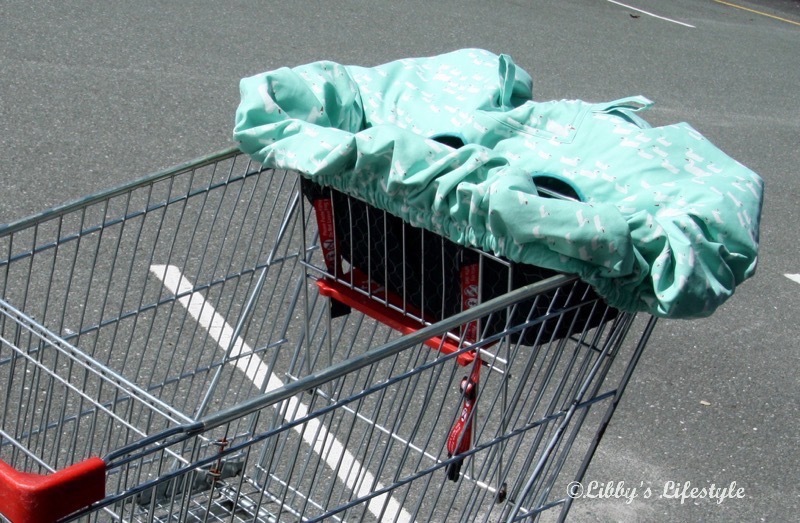 Did you know that shopping trolley covers were a "thing"? Do you love my little ducks that I fell in love with? Is there a baby in your family who needs one of these? A quick PS. A photo from the happy mother. 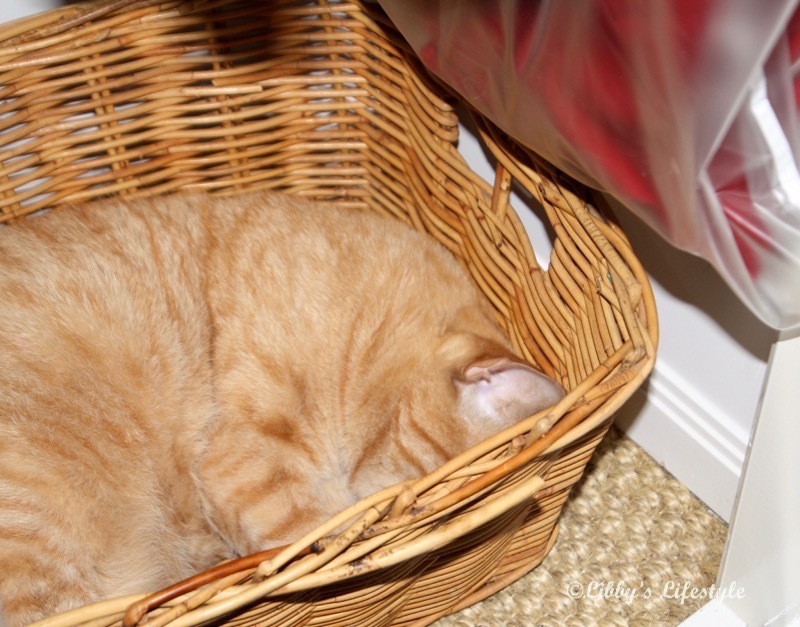 Well, his new favourite spot is in the cane basket at the bottom of the wardrobe in the guest bedroom. Shhh, he's sleeping ... again.